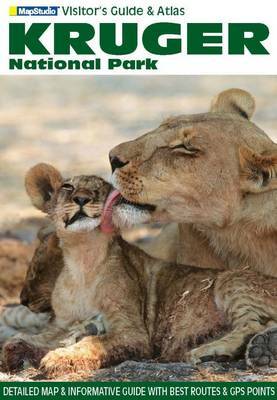 Detailed visitors guide and touring map to the Kruger National Park. The guide includes detailed maps with GPS points, an overview map of the panorama route, eco-zone maps with descriptions and maps of the main camp sites. The guide provides detailed fauna & flora descriptions throughout, detailed description of the Big Five, illustrated dominant topography regions, a checklist for birds & mammals, and a wildlife identification guide. Also included in the guide are handy hints & tips, visitor's facilities, gate times & phone numbers, contact details and booking information. The guide lists travel times between camps and a distance chart.